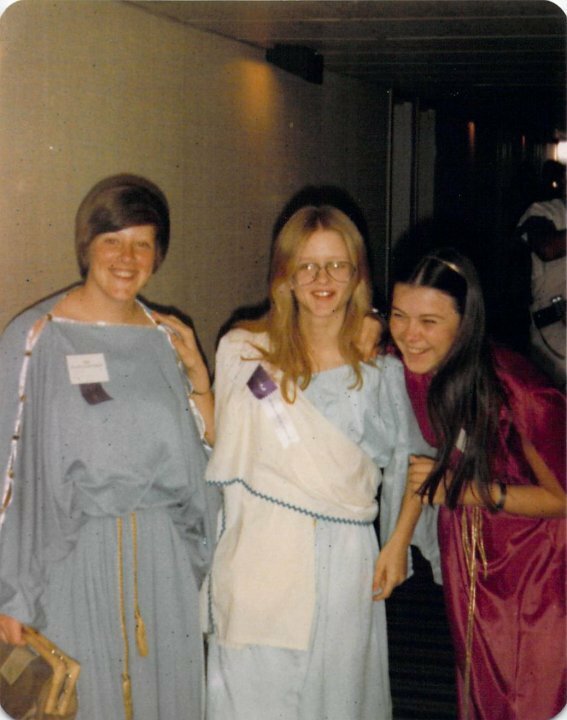 This is me in my toga for Latin trip to Orlando when I was a senior in high school. I thought I was FAT- what the heck?? LOL! I am the one in red. My friend posted it on facebook today. She is the one in the middle. I was in Latin 4, she was in Latin 3 and the third chica was in Latin 2. We had a blast!